First Secure Exchange of Digital Documents with GDPR Strict compliant and Official Time Stamping, for legal and secure verification. This exchange allows transmission of encrypted and secure documentation, restricting access to third parties and offering access management to these creditable transfers, through an auditable, verifable and secure P2P transaction. These transmissions will be made through a distributed network of nodes located in the main European DPCs, guaranteeing 24x7 availability of information as well as protection against information loss thanks to the redundancy of our distributed network. It has also been proven that one of the advisors is attempting to seel ratings to other projects. there is proof to support all allegations. this ico cannot be trusted. Interesting to see projects related to personal privacy and protection in the crypto space, even more if it's working under the new EU GDPR frame which took effect on may 2018. Strong team and advisors. KYC not conducted yet. Update 2: I didn't recieve any kind of reward for the review. Privacy protection is a hot topic that is creating significant issues for all the companies with operation in EU, also blockchain is not immune to these issues and an ICO project trying to takle GDPR regulation must be very welcome and deserves attention in my view. The "tokenomics" seems well designed, other projects had their focus on data storage on blockchain but this, designed as a private blockchain, could have a real distinctive advantage. Data encryption guarantees privacy for information stored and the KYC policies applied to counterparties involved permit the implementation of many legal and business applications. The token issued entitle the holder to receive profit sharing from the company, this aspect must be handled with care by the team since this would make the token fall under definition of "security token" according to current regulations. Disclosure: I didn't get any sort of compensation for this review. This project is based on an idea that was born more than a year ago, as opposed to the need to integrate Blockchain with GDPR. In the end, after many debates and hours of conversation and study with engineers and experts in GDPR, we have considered this implementation of the technology. Even adding the third party verification option in our consensus method, allowing to be permanently audited by prestigious entities (private or public). I regret the low score in the team section, but even so, I appreciate your sincerity and your time invested. 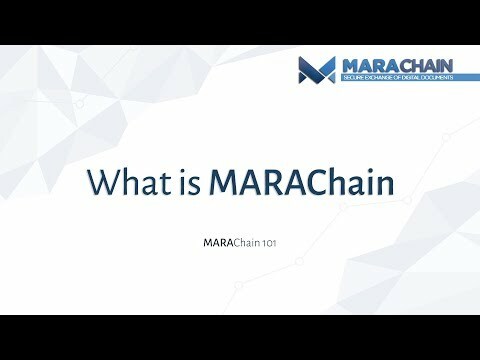 Before saying goodbye, I invite you to join us on our Telegram channel or to follow us through our Twitter channel, to know all the news about MARAChain. And I remember, tomorrow, July 1st, we started the private presale, if you want to participate, you just have to contact us. DIscounts between 25-62% during pre-sale.